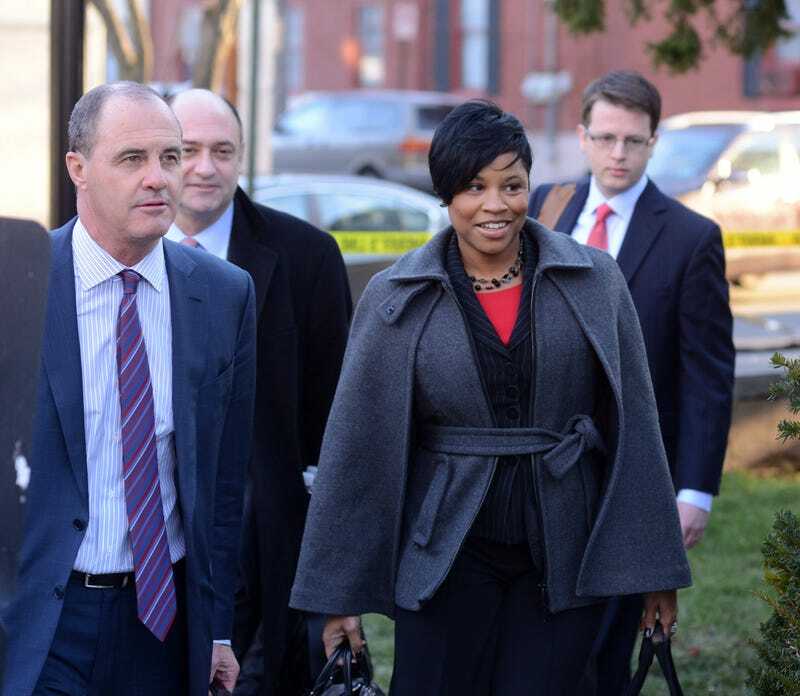 Attorneys Brian McMonagle (front, left) and Monique Pressley arrive for Bill Cosby’s preliminary hearing on sexual assault charges at the Montgomery County Courthouse on Feb. 2, 2016, in Norristown, Pa.
A couple of months ago, high-powered attorney Monique Pressley helped Bill Cosby into a courtroom. But now it seems as though Pressley has had a change of heart when it comes to representing the man charged with drugging and sexually assaulting a Pennsylvania woman. Earlier this week, Pressley removed herself from Cosby's legal team, making her the second attorney to do so over the last year. Pressley has not said why she's dropped Cosby as a client, but needless to say, Cosby hasn't had a good history when it comes to keeping his legal team intact. Cosby is currently facing criminal charges in Pennsylvania in the sexual assault of Andrea Constand in 2004.